Western New Mexico Correctional Facility is located in Grants New Mexico, part of Cibola County. 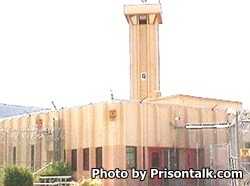 The prison can house approximately 440 adult male inmates of level II, III, and IV custody classifications. This facility places great significance on educating the inmates and providing vocational training and employment opportunities. Inmates are allowed 6 hours of visitation during the weekend, which can all occur on one day or can be split into two days. Visiting occurs on Fridays, Saturdays, and Sundays from 8:30am-3:30pm.